10 years ago if you told someone they'd be able to play roulette games for real money on their phone - they would laugh in your face and probably say something along the lines of 'will there be hover-boards too?'. Well, look who's laughing now - there are literally thousands of Android roulette apps on the market today. Let's take a look at what's out there and then you can decide if winning on your smartphone or tablet is something you'd like to do. The future is finally here! Playing roulette for money on your Android phone is now possible and Slots.lv Casino offers some of the best odds on the market – as do all of our top online casinos! What Real Money Android Roulette Apps Are There? Think of any reputable online casino. Got one in mind? Well they almost definitely have an Android roulette app. From market leaders to the small and quirky casinos, they've all made it easy for you to play online roulette on your Android phone. Has the Android roulette casino got good reviews? Does it have good Customer Service for assistance if you need it? Is it secure and encrypted? What Types of Roulette Can I Play On Mobile? Whether it's American, European or the much loved French roulette game with a lower house edge, there's a game out there waiting for you. American Roulette It's the classic version played in American Casinos. It has a double zero slot on the wheel and that makes the house advantage over you higher, meaning technically you will win less often. However, American roulette single number bets payout better odds because each result is less likely to happen. European Roulette This is the game most common in the UK and Europe, unsurprisingly. What makes it different to American roulette is that there's just one zero. Translation: the house edge is lower. French Roulette This game is pretty similar to European roulette but the main difference is the La Partage rule. This rule means that if you place an odds or evens bet and the ball lands on zero, you'll get half your bet back. This neat little extra rule, lowers the house edge to 1.35% - the lowest of all real money online Android roulette games. Ever been stuck on a train in between stations or crammed into the corner of the bus? With a roulette Android app you can turn that stuffy, uncomfortable place into exciting casino games. Just grab your smartphone out of your pocket and you'll be immersed in the exciting, adrenaline-fuelled game instantly. Being able to take an Android roulette online game with you wherever you go also means you can win any time, any place. Prepare for some odd looks when you stand up screaming with joy because you put all your money on red and you've won! Once you've chosen the online roulette app you want, just download it on your phone and get ready for the fun and games. Most apps let you add you save your payment details in the app, so withdrawing your winnings or making a real cash deposit is as simple as a few swipes and presses of the screen. Remember, there are loads of online casino sites and Android roulette apps out there that let you play for fun online too. These are ideal if you feel like you don't want to bet with real money just yet. So, now it's time to look around and see what roulette app takes your fancy - good luck! 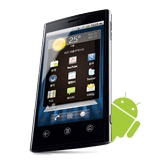 Android operating systems are the most popular in the world. Even with all the media craze about iPhones, Android OS is still by far the global leader. New technology has advanced the capabilities of the smartphone so much that online gamblers are no longer stuck at home in front of their PCs thanks to the Android operating systems. Android is constantly updating their software with new releases to improve technology and user experience. Absolutely. Because Android is the most popular platform on the planet, online roulette casino developers have focused their technology on Android operating systems. Also, you can be assured that because mobile casino gaming is relatively new, the technology will be state-of-the-art and relevant. What models and devices are supported? There are so many devices that support Android OS casino apps. Some of the most popular are Nokia, Siemens, Motorola, Samsung, Sony, and LG. If you are able to install apps from the Android Google store, then there is very good likelihood that your device is mobile casino ready. Whenever you can use an app, do so. Trying to access roulette online casinos via the browser on a smartphone can be tedious and very time consuming. Often, adware and additional features on a traditional Internet site can really grind the performance of a smartphone browser down. Apps are designed to minimize data usage and are specifically for smartphone usage. The most popular game for mobile Roulette play is European Roulette. This is due to the fact that European Roulette has 37 numbered slots (0-36), but American has all that plus a double zero slot. That extra slots gives the house an extra advantage. Can I still make use of bonuses? Bonuses that are offered by our selected Android casinos can be used regardless of the device that you are playing on. Oftentimes, you will find special incentives, and bonuses are given for playing casino games by way of your mobile device. So, go ahead and increase up that bankroll - you will play longer and win more because of it. In most cases Android roulette winnings are paid very quickly, if not immediately. Much of it depends upon which type of withdrawal you are using. When using services such as PayPal, it is almost immediate, as with credit cards. However, not all players from all countries are able to take advantage of these types of rapid delivery. You will want to check with your provider to determine the average times involved.